There are only two types of files you can import. 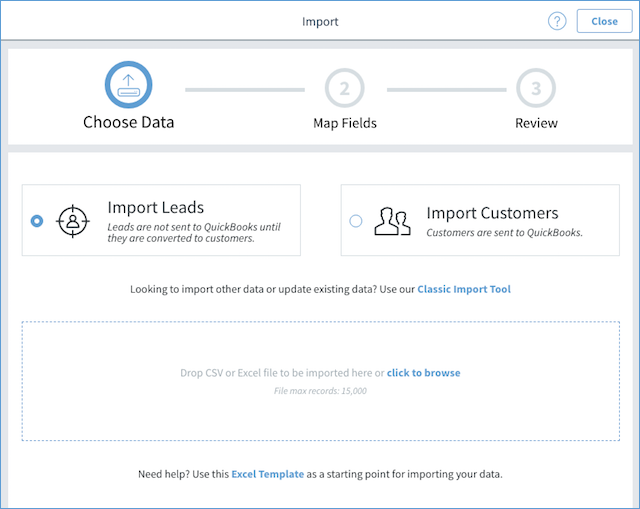 Your import file must be of file type .csv or an .xls Excel file. Unfortunately, you cannot use .xlsx files at this time. 1. 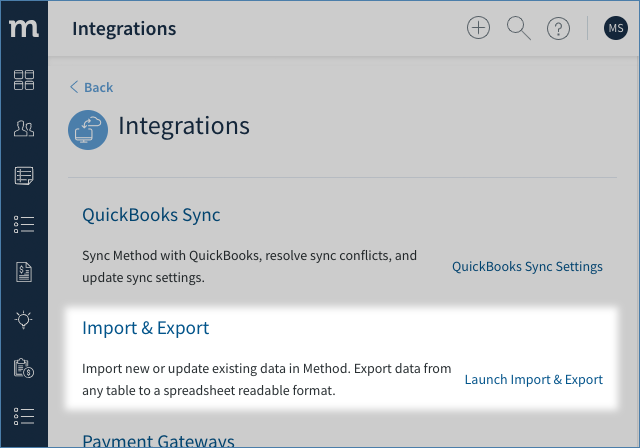 In the upper right corner, select the blue icon and then select Integrations. 1. Follow the above instructions to get to the import screen. 2. Click the link Classic Import Tool.